After a decade of developing a vivid and believable universe, developer Bungie is saying goodbye to their beloved child, Halo. Though the series will most likely live on under Microsoft's discretion, Halo: Reach ends the series in the beginning, providing one of the most satisfying experiences in modern gaming. 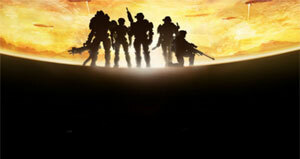 The campaign in Halo: Reach shifts its focus onto a group of six Spartans called Noble Team. With the ominous foreshadowing of Reach's Armageddon-induced downfall, you are cast the role of Noble Six, a multipurpose superhuman set on destroying the evil Covenant at all costs. Though this seems like the story of an epic hero, it turns into an emotional, character-driven rollercoaster. As Noble Six, you are paired withmembers of Noble Team for various missions throughout the campaign, during which you learn small bits of information about that character that connect you to such an extent that many aspects of the story tug on your heartstrings. The only problem with the story is that it feels disconnected from the missions at hand until the end. I found myself waiting for the next cutscene to find out what was going to happen while I defended a bunker for 15 minutes. 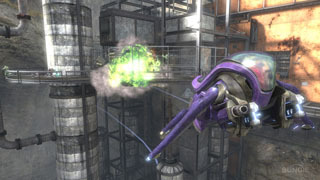 The game suffers from many chokepoints, though they are native to the Halo experience, they do become extremely frustrating when trying to advance the plot. One can appreciate the atmosphere that is created in Halo: Reach as a result of Marty O'Donnell's consistently amazing score and the jaw-dropping backdrops. The game sounds amazing, with the deafening thumps of nearby grenades to the shattering of destroyed glass, it envelops you in a universe unlike many you have experienced before. Reach has noticeably improved graphics over its predecessor, running at 60 frames per second on a new engine. The only gripe that one can find with these changes is the occasional stutter in the frame rate, which suffers during intense, large-scale battles. This will cause you to momentarily cringe though it will not take away from the overall aesthetic feel of the game. 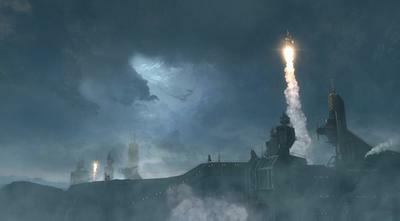 Reach has introduced much change in the series in terms of gameplay, which is now somewhat akin to twitch shooters such as Call of Duty. One of the most notable changes is the introduction of armor abilities – timed power-ups that provide users with various skills, such as sprinting, invincibility, and active camouflage. The health system has also been changed and no longer regenerates with time; rather players must find a health pack that restores health to its original state. These changes are somewhat polarizing within the Halo community, as some find that the new abilities and health system take away from the core Halo experience, but they distinguish the game from its predecessors in a generally positive way. Halo: Reach offers a plethora of game types that users have access to, making it one of the most cost-effective games out there. While introducing new game types such as Invasion, which will be covered later, the game improves on features of previous games. One of the major selling points of last year's Halo 3: ODST was the introduction of Firefight, where users defend themselves from the perpetual onslaught of alien invaders. Though this feature was welcome, it was not fully embraced due to ODST's reviews saying it was only a glorified expansion pack. This time around, Firefight is amazing, offering the ability to completely customize gameplay variants down to what enemies come when. If fending off death for hours on end is not your cup of tea, you can find solace in the fact that you can get all of the Firefight achievements with the proper settings making you invincible. Forge has also been expanded through a massive, fully-customizable world and a new set of editor tools. Forge World is the general name for six maps that are connected, all of which can be directly edited through Forge. Players may choose what boundaries their maps are confined to, allowing for maximum creativity. Speaking of creativity, the new tools that Bungie provided players with allow users to place objects within objects, create floating maps with ease, and snap pieces to a grid provide users with a more intuitive, connected experience that will allow many creative and hilarious maps in the future. Reach offers the largest multiplayer suite ever. Carrying your party from Firefight to competitive matches has become much more intuitive through a revamped menu system. Bungie has also made strides in making players feel rewarded for their efforts, creating a system in which credits unlock aesthetic armor upgrades that display prowess and accomplishments. This in addition to snazzy nameplates that are upgradablevia Bungie.net and commendations provide users with the satisfaction of winning on a somewhat regular basis. Bungie.net also allows users to track statistics down to the kill, helping players improve their online skills. Online skills can also be honed using the game's Theater mode, which allows users to review their past 10 games. If you are concerned about the amount of space on your HDD, don't worry, as the games are saved not as videos but as reviewable game files. All of these features are the reason why Bungie has one of the most extensive and dedicated communities found in modern gaming. The game also enjoys many editions to its already vast array of game variants. Keeping all previous game modes, such as Slayer, Capture the Flag, and Infection, the game also introduces modes such as Headhunter, Invasion, and Stockpile. Users are also provided with more options in a more democratic system for choosing game types. More competitive users will find joy in the Arena, a head-to-head network of above-average gamers that are to be moderated in a tournament setting. Bungie is going to update the game with daily challenges that will entice users to come back to Reach for more. The only disappointment that one can find in multiplayer is the lack of matchmaking for custom games, which would allow users to discover new maps, game variants, and inspiration through a less competitive portal. 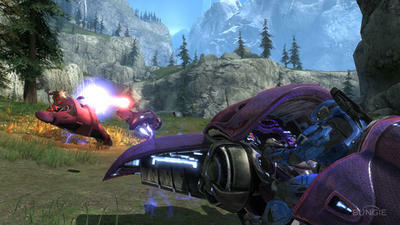 Overall, Halo: Reach is an extremely effective swan song to the series and is one of the best games on the market. If I were to pin an empirical score on the game, I would give it a solid 9.8/10, a must-buy for every Xbox owner. If you already own Halo: Reach, is it a satisfying conclusion to the beloved game series? Does Reach improve on weaknesses found in the original trilogy? Let us know in the comments below. Rooted in his childhood obsession with dismantling and reassembling gizmos and gadgets around the house, Jack McGrath's knowledge of programming, gaming, and mobile devices coupled with his enthusiasm for everything tech-related provides an interesting perspective on today's latest news.